Did anyone else stop by a Rita’s today for a free water ice? I made the walk from U. City to the 15th and Spruce location to wait in line for one. It seemed a little too cold and windy for water ice today, but it was delicious anyway. 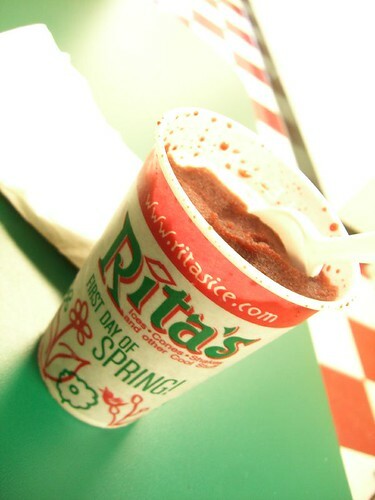 What is the consensus on how to pronounce water ice- I hear Philadelphians call it Wooder Ice. Any preference on flavor? My personal favorite (the one pictured) is wild black cherry- it doesn’t have the medicine taste like normal cherry. How condescending! There are only two ways to say it: “Italian Ice” and “Wooder Ice.” There are no other ways.